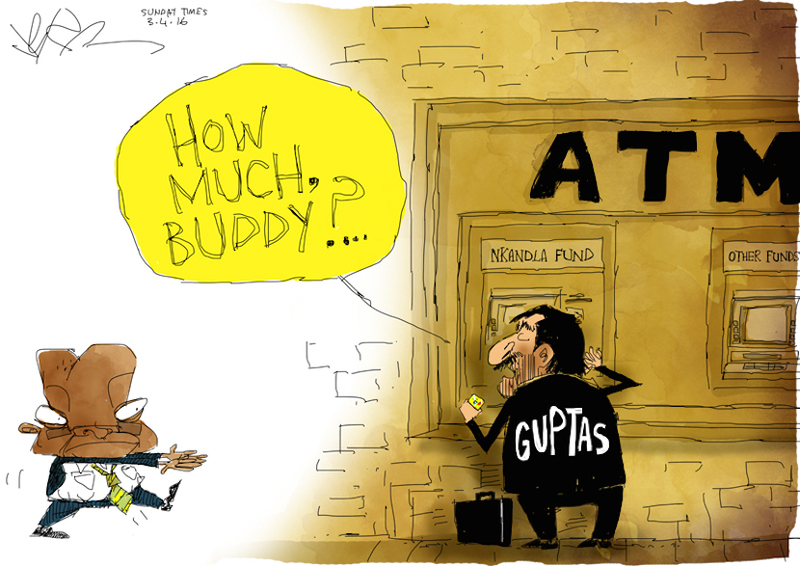 Gupta-inspired Zuma opens fire at top four banks: First sector for radical ‘transformation’? Cape Town – President Jacob Zuma on Friday blamed South Africa’s top four banks for controlling the economy, hours after his State of the Nation Address (SONA) in Parliament. “If you have got four banks – major ones – and they take everything; they don’t want you to do anything,” he said on SABC’s Morning Live, which is sponsored by Gupta-owned newspaper, The New Age. Zuma said banks often treated poor black people unfairly due to their lack of collateral. “The time has come: we should be able to deal with the economy at a fair level,” he said. The top four banks are Absa, Standard Bank, FNB and Nedbank. “We actually frustrate our economy deliberately by making only a few people control the economy,” he said. “I am told by those who do business that at times they even take your ideas and implement them because they have got the money. “At the heart of the economy is finance,” he said. “If the… critical banks that dominate everything are just four… in all countries where the economy is developed, the banks are all over because it is the finances that make the economy grow. “We want to change this,” he said. “If you have four banks, let us have more banks. Let us share that. Let us unpack the economy and give opportunities to everyone. “There’s a skewed kind of economic control,” he said. “We say that we must be part of owning, managing and be part of controlling the economy. “You can’t have somebody who is super rich and have somebody who is super hungry in one country,” he said. The vision for a much stronger state-controlled South African economy took centre stage in Zuma’s 2017 SONA. The most controversial plan was perhaps Zuma’s mention of new draft legislation that will target the highly concentrated areas of the economy. Although Zuma didn’t go into detail, it can be assumed he meant South Africa’s financial services sector, which will soon be the subject of a round of public hearings in Parliament where a number of stakeholders will provide input on how they see the sector being transformed. A gent stands up at the Gupta-sponsored breakfast to thank Zuma for "one of the best *budget* speeches". 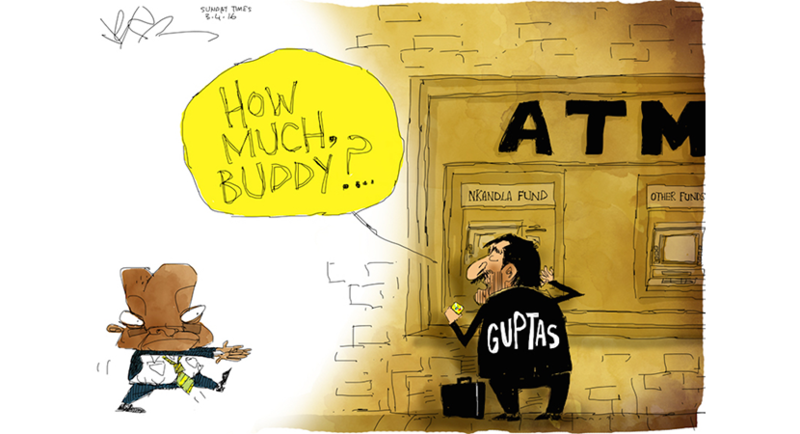 Gupta speechwriters are failing. The proposed legislation, which Zuma said would help “de-concentrate” certain sectors, will be drafted by the Department of Economic Development and will soon make its way to Cabinet and Parliament for deliberation. 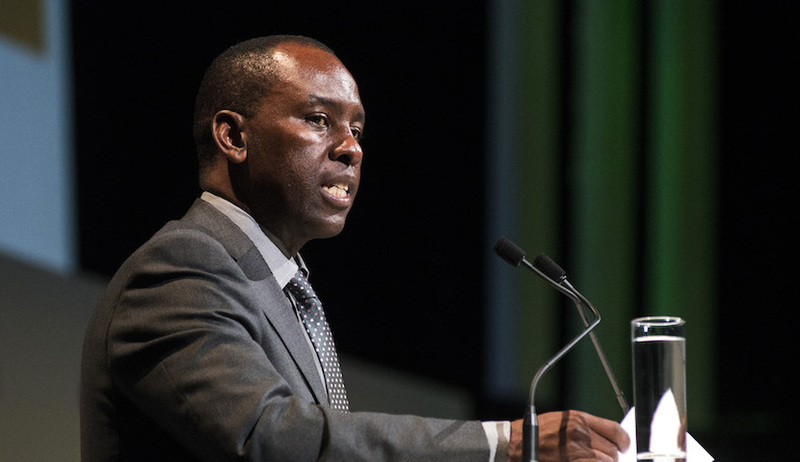 A recommendation in September 2016 by Zuma’s inter-ministerial committee that looked into the top four banks’ decision to blacklist Gupta-owned companies was released erroneously as a done deal by Mineral Resources Minister Mosebenzi Zwane last year. While Zuma rebuked Zwane for the release of the recommendation (saying it was not sanctioned), the banking sector was able to see what might be coming their way. Zwane said a judicial inquiry should look into the establishment of a state bank of South Africa with the possible corporatisation of the Postbank being considered as an option. Fin24 reported on January 31 2017 that the South African Post Office (Sapo) is expected to submit an application to have its financial services unit registered as a bank by mid-2017. Sapo will submit an application to register Postbank as a bank by July 3, a document handed out in Parliament showed in January. Sapo CEO Mark Barnes said the Post Office has R2.7bn in capital, and retained earnings at the end of December 2016 sufficient to meet the regulatory requirements. The country’s five largest lenders, including the so-called Big Four of Standard Bank Group Ltd., Barclays Africa Group Ltd., FirstRand Ltd. and Nedbank Group Ltd., control about 90 percent of banking assets in the country. Criticism of the lenders from Zuma and his supporters intensified after the institutions refused to do business with companies linked to the Gupta family, who are friends with the president and in business with his son. 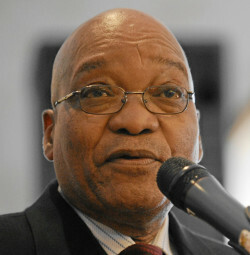 Zuma, 74, was speaking at an event hosted by The New Age newspaper, which has ties to the Guptas. The family, led by brothers Atul, Ajay and Rajesh, came to South Africa from India in 1993 and built a business group ranging from computers to uranium mining. His comments follow the state-of-the-nation address on Thursday, in which he said the inclusion of the black majority in the economy has been too slow. The monopoly in the mining sector should also be addressed, Zuma said, while increasing land ownership for black people discriminated against during apartheid also formed part of the government’s plan to transform the economy. Barclays Africa, controlled by the U.K.’s Barclays Plc, was the target of the ruling African National Congress’ Youth League on Friday. Protesters, who marched to the bank’s Johannesburg headquarters, demanded it pay back money from a bailout provided to a lender it bought before the end of apartheid. This comes after the leaking of a draft report compiled by South Africa’s graft ombudsman that said Barclays Africa, which traded as Absa then, may have unduly benefited from state support when it bought Bankorp in 1992. Amid Zuma’s statements and the Youth League’s ire, the six-member banks index rose the most this year, climbing 2 percent as of 3:07 p.m. in Johannesburg in its biggest move since Dec. 29. RMB Holdings Ltd. and Nedbank led the gains while Barclays Africa rose the least, climbing 1.3 percent to 161.05 rand.